If you’re like most people, hiring a band isn’t something you do very often. In fact, looking for a live band for your wedding may be the first and only time you’ll ever undertake this task. Your wedding music sets the stage, so to speak, for your wedding: the right music will create a festive mood, keep your guests dancing, and keep people talking about the fantastic party you threw for a very long time. Planning a wedding is all about the details, and the music is one corner you can’t cut. Make the most of your wedding music budget with these tips for ensuring that you’re choosing the perfect band. Word of mouth is one of the best ways to find a great band, so ask your friends and family who they’ve used and loved. However, keep in mind that people have very different taste in music, so the band your co-worker loved may be entirely wrong for you. You can also do some digging online to find samples of various bands’ work so that you can hear first-hand how they sound. If possible, try to catch a live performance, too – recordings may not be accurate representations of their live sound. Ask for a setlist (or look for one on the band’s website) so that you understand which songs are within their comfort zone. You can always request a specific song – but bear in mind that a band may charge an additional fee to cover the extra time and costs involved in learning a new piece of music. You want to make sure to choose a band that can accommodate your favourites, so your best bet is to look around for one who’s already familiar with them. It doesn’t matter how good a band is if you can’t afford them. Know what your entertainment budget is upfront and be clear about it. Remember that the band’s fee isn’t the only expense involved. Your band will have to set up, perform a sound check, play, and pack up at the end of their set, meaning they’ll be on site for hours – and will get hungry. It’s nice to offer food and drinks, keeping in mind when budgeting that the bigger the band is, the more mouths there will be to feed. Before you hire a band, be familiar with your venue and how much available space there is. A larger band will likely have a more extensive repertoire, but a smaller one will take up less space. If you choose a band before you select a venue, a smaller group of musicians will allow for more flexibility in venue choice. For portable stage hire in Sydney, contact Outwest Party Hire. We can help you plan the perfect outdoor wedding with stage hire in Sydney and other equipment rental including marquees, tables, chairs, lighting, dance floors, catering supplies, and more. 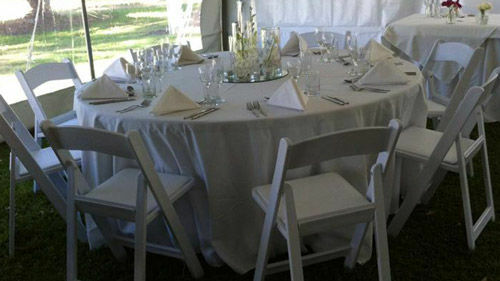 Give Outwest Party Hire a call today to see how we can help you create the wedding of your dreams.